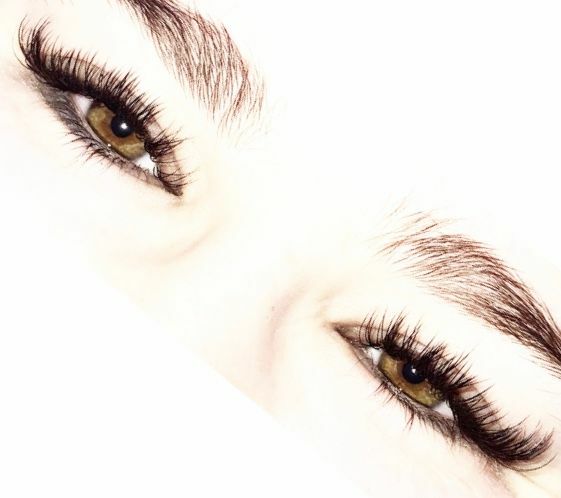 Eyelash Extensions are a beauty breakthrough, used to enhance your natural eyelashes in color, thickness and/or length. Synthetic, silk, or mink eyelashes are applied one at a time to each of your own individual lashes to create a fuller, luscious look. Each synthetic lash is thicker at the base and taper at the tip, designed to look like a natural lash. Extensions are available in many different sizes, curls and thicknesses, and will be customized to best fit your facial features and desired look. The procedure is painless and relaxing. An average full set application takes about 1.5 – 2 hours and lasts about 6 weeks, depending on your commitment to upkeep and the natural growth cycle of your lashes. The growth cycle consists of 3 stages; the growing, resting and shedding stages. Touch-ups are required because as your natural lashes shed, you’ll want new extensions on the new lashes that grow in. The lifespan of an eyelash varies anywhere from 2 to 9 weeks. Touch-ups are recommended every 3-4 weeks, but vary from person to person. Your lash technician at Blink will assist you with forming the best maintenance plan based on your lash growth cycle. Please arrive to your appointment with a clean face, free of any makeup. If you wear contacts, it is best to either wear your glasses to the appointment or bring them with you as you will have to remove the contacts before the application process begins. Avoid use of oil-based products on lashes for 24 hours before the service. Do not curl your lashes the day of your appointment. Eyelash extensions cannot get wet for 48 hours after application, so it is best to shower before your appointment. Keep your eyes closed during the application. Your lower lashes will be covered to prevent contact with the upper lashes during application. Lash extensions will be placed close to the hair root and never touch the skin or eyes. Application process for a full set takes an average of 1.5 - 2 hours. Do not get your lashes wet for 24 hour after application. The adhesive may reactivate and cause the lashes to stick together. Avoid sweating, swimming, steam rooms, hot yoga, or any excessive heat. Resist pulling, picking, or touching the lashes. Please contact us if any irritation occurs. Do not use moisture-rich products around your lashes. Shampoos, conditioners, or oil-based products will weaken the adhesive bond. Be sure to gently wash your lashes and lash base daily with a mild oil-free soap such of exclusive lash extension wash or yellow bar dial soap. Gently brush your lashes daily with the brush provided to you at the end of your service.